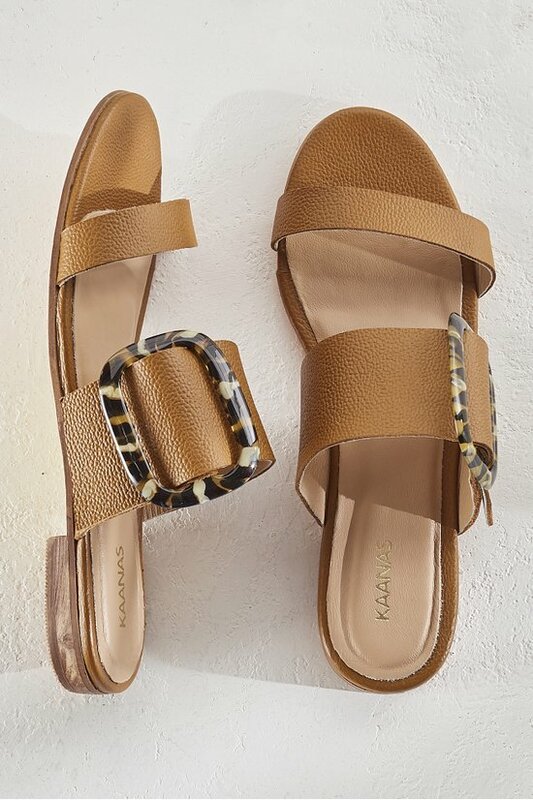 A faux tortoise shell buckle brings these rich leather slides to life. Sleek and simple in neutral tones, with a covered heel and toe and padded footbed, they're poised for a new season. 1/2" heel.